﻿ How Much Does A Mobile Ecommerce App Cost? You are reading this, which means you are actually interested to build your mobile ecommerce app, which is great, because consumers today have a “mobile first” outlook. You should too. You need to steer your approach towards “mobile first.” Everything else will fall into place when you adopt this approach. Competitor analysis is a crucial part of your job when you set out to make a mobile app for ecommerce. Sure, you’ve done your fair share of research on how Amazon operates. But, that doesn’t cover it. There isn’t actually not much use in trying to compete directly with an ecommerce giant like Amazon, since they’re the biggest in the whole wide world. It would be better to create an online store with multiple key functions and an easy-to-use, eye-catching UI. You need to test it thoroughly to see how it’s working and what tweaks need to be made to improve it. You have to go in deeper. You can conduct your competitor analysis based on a particular region, country, or on global basis. You need to tell your consumers what gaps your mobile ecommerce app will bridge for them. Today’s consumers are used to being catered to all their shopping needs by mcommerce apps. 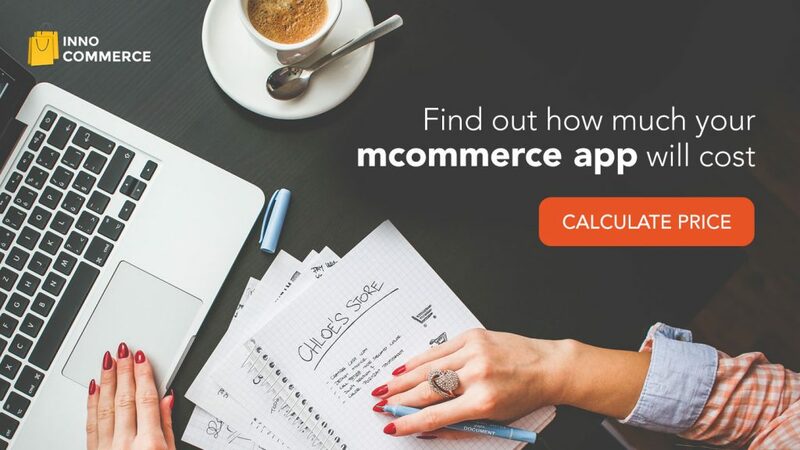 If you have to make your app popular, you have to do detailed research on all available mcommerce apps and find out areas where you can provide something extra, something that’s missing from the available mcommerce apps serving users. At the end of the day, you have to give users something valuable enough for them to hit the buy button. There are four basic benefits that you can capitalize on: the quality, the quality-to-price ratio, the overall look and feel of your mobile commerce app, and the must-have features. In order to properly understand and evaluate your value proposition, ask yourself these questions. What makes your mobile commerce app different from others in the market? It’s difficult to stand out in the mobile commerce landscape, because every mobile ecommerce app is pretty much the same. But you can still wow customers with value-added features, compelling push notifications, and offers like free coupons with every purchase, next-day shipping, money-back guarantee etc. Ecommerce apps tend to be a little more complex than other apps and that’s why, they take more time and effort to develop. Due to the sheer variety and complexity of features like signup/sign-in, gallery, filters etc., ecommerce apps tend to cost more. The cost also depends on the online ecommerce platform you’ll be using. 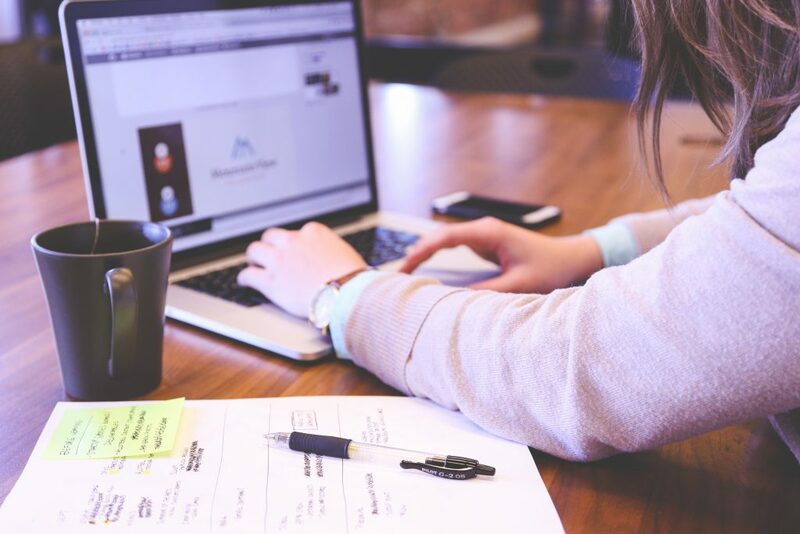 Speaking of platforms, you have two options – you can either hire someone to build the platform for you, or you can build the platform using Magento or WordPress. Having the online ecommerce platform built by someone is not a great idea because it usually leads to a lot of monetary as well as resource waste. Working with pre-built tools such as Magento and WordPress is less risky and more effective. 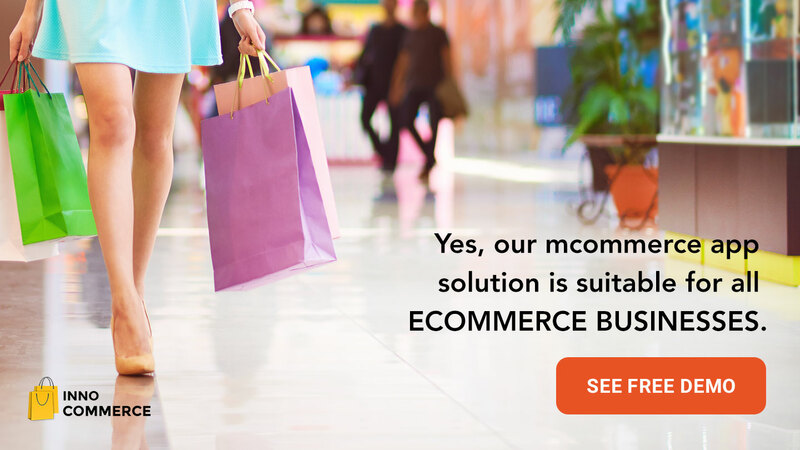 Magento is a platform that’s built for ecommerce and therefore, makes things much easier for you. There are many professionals out there who can take care of building your mcommerce app. And they all have different pricing to choose from. However, it actually depends on how complex you want things to be. At Innofied, we develop mcommerce apps every day. And that gives us a clear idea of how much planning and evaluation goes into creating a mobile app for ecommerce from scratch. Keep in mind that the cost directly depends on the number of hours developers spend to build your online store app. And the pricing (hourly rate) differs from one company to another. Developers are the ones that do the main work of crafting the code base. They are responsible for the way your app functions. It is necessary that you hire the right developer who can do the required work the right way, as he is the key person for the job. The designers create the UI (User Interface). Designers craft and assemble the components of the app. The Project Manager takes care of the entire project. They supervise every aspect of the development, design and quality analysis. They stay in constant touch with you to answer and queries you may have and coordinate with the designers and developers to make sure your feedback is paid attention to and your preferred features are implemented. Which Platform Will Your App Be On? To be sure of which platform your app should be on, you need to know where your target audience is. For some audiences, Android is the right platform, while for others, iOS is the platform of choice. The cost depends on the platform. Whether you are developing a native app or hybrid app directly impacts the cost. Also, the time it takes to develop each has a direct impact on the cost as well. What Will Be Your Mobile Ecommerce App’s Functionality? The functionality of your mcommerce app contributes to the cost. Depending on the type and variety of features you’re looking for, your app’s cost will be calculated. You have to first determine what features and functionality you want your app to have. And then approach a dev team. What Will Your E Store Design Be Like? The design of a mobile app for ecommerce is just as important as its features and functionalities. An attractive UI and other elements of your e store design will catch the attention of users and would persuade them to keep using your app. As you can see, knowing how much you’ll have to invest to create your mobile commerce app calls for a lot of research. You can do the research your way, and we advise you do. But also, you can also opt for a cost calculator that gives you an accurate idea of the amount. This one’s a nifty little cost calculator that you can use easily. A social butterfly, a movie buff, and the Content Crafter at Innofied. You can find her chilling at her own solace when she is not writing!